For thousands of years, playwrights have been bringing people together to explore what it means to be part of a particular society Whether you are brand new to writing or early in your career, this unique playwriting class will stimulate writers of all mediums who have an interest in how their words can affect and engage their community. The class begins by reviewing the basics of playwriting, exploring what it means to write a "civic play," and sampling multiple techniques for doing so. Playwrights will work on short plays outside of class, using class time to further develop their work. 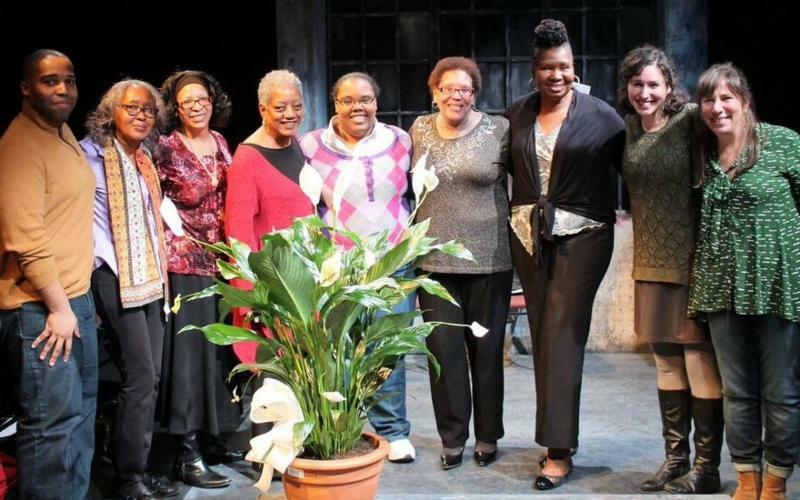 The class culminates in a public reading of these plays by professional actors on Luna's mainstage. Please note: This class requires approximately 2-3 hours of a week of work outside of the class hours. NEW! 2 Sessions to choose from! Plus! Each PlayGym writer will spend one-on-one time with Instructor Kaitlin Stilwell. You've taken playwriting classes, you've got drafts piling up on your desk. But how do you take that next step? PlayGym is a new play development forum for playwrights to hear their work read aloud and to receive feedback from professionals in a safe, nurturing environment. PlayGym playwrights have access to 4-5 professional actors trained in new play development and Luna's Resident Dramaturg. Workshop new material, finally finish that play that's been plaguing you, develop it with the actors in the room, try out different versions—how you use your time is up to you. Each playwright receives over 3 hours of personalized time and becomes a part of a community dedicated to play development. Please note: this class is intended for playwrights with some experience or training. Please submit a brief resume (including any classes taken), or a writing sample. Click Here for to Register Today!